With more than 200 million users worldwide, Viber’s also taking this day to announce what it is referring to as the biggest update to the service yet. 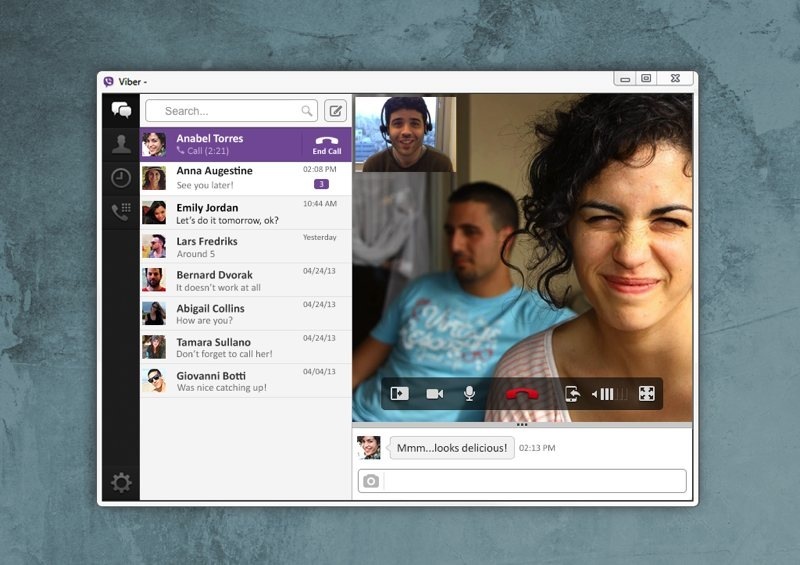 Viber has just been outed for Windows and Mac PC’s, bringing the popular cross-platform VoIP service to desktops. If you’re looking for an alternative to Skype, Viber now gives users the ability to place calls not only to other mobile users, but also to desktops. For starters, the Viber for Android and iOS applications have both been on the receiving end of a pretty meaningful refresh, following the recent introduction of VoIP calling on older versions of BlackBerry OS. An all-new desktop app will, as of today, also be available to Viber users on a Mac or PC (Linux coming soon, we’re told), packing in most of the features the service is well-known for but in a less-mobile form. Setting up Viber Desktop uses the same process that the popular mobile app uses, with your mobile number being used as your unique user ID. Your contacts who have Viber are automatically added from your contact list, and are seamlessly synced between your mobile and desktop versions. The new desktop version coincides with version 3.0 of the popular platform, which adds significant updates to the mobile (Android, iOS, and BlackBerry) versions of the app, but also include video messages, enhanced photo support, a new voice engine, and support for some 20 languages overall. LONDON – May 7, 2013, Viber, the leading mobile communications platform offering free messaging and HD-quality phone calls, announces today the release of Viber Desktop for PC and Mac. The new versions seamlessly integrate with existing mobile versions of the app and provide the same super-simple setup process that uses your phone number as your ID. On top of this, Viber now speaks your language, with support for eight new languages and 20 languages overall. Supported languages include (new in Bold): Arabic, Catalan, Chinese (Simplified), Chinese (Traditional), Dutch, French, German, Hebrew, Indonesian, Italian, Japanese, Korean, Malay, Portuguese, Portuguese (Brazil), Russian, Spanish, Swedish, Thai, Turkish, and Vietnamese. Nike’s FuelBand iOS app have been updated to add Nike+ Friends. Now the fun in owning an exercise tracker like the Nike+ FuelBand can be more fun. Wearers can now learn where their step count places them relative to their peers and share the results for all to see. Should there be any doubters, owners can attach photos, locations and mentions of nearby friends to back up their boasting. Yes, it’s an upgrade that’s primarily focused on oneupmanship, but it’s good in our book if it makes us walk just a bit further each day. The latest Nike+ FuelBand app update makes it easier for users to share more and celebrate NikeFuel achievements with their Facebook friends. Now users can capture their activity or workout via photo, upload images from an iOS device, tag location and friends, and comment on the activity pictured. Users can also customize their photo with an overlay that includes their current NikeFuel score and the Nike+ logo before sharing images with their Facebook communities. 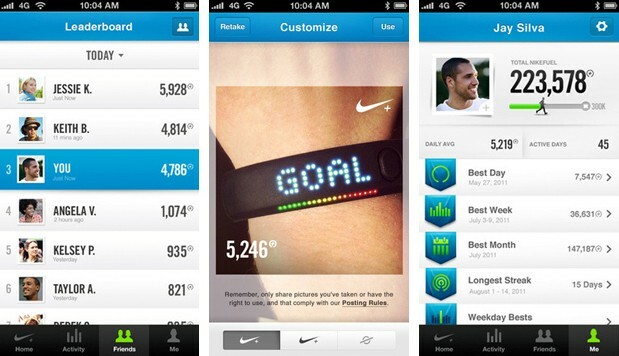 Starting now, Nike+ FuelBand users with the iPhone app can invite, manage and compete with friends in three ways – through Facebook, Nike+ and Contacts. This update allows athletes to use NikeFuel in new customizable leaderboards as a social currency to compare, compete and challenge friends to keep up. 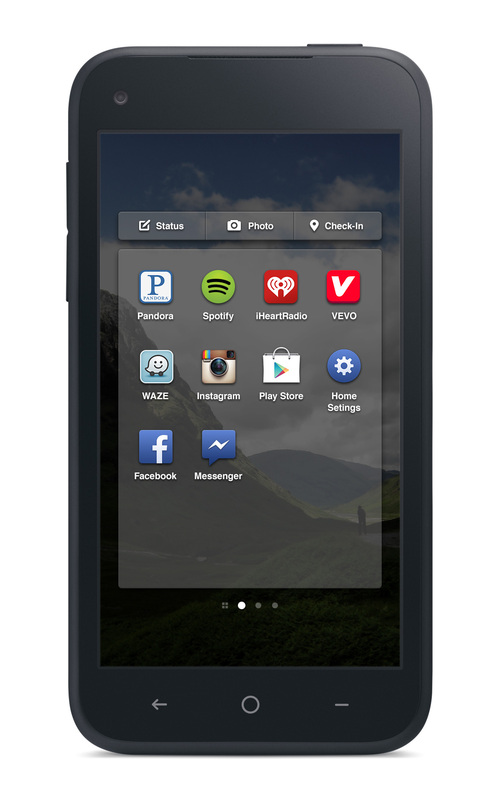 Facebook Home is a new way to turn your Android phone into a great, living, social phone. We all want to share and connect. But today, phones are built around tasks and apps. To see what’s happening with your friends, you pull out your phone and navigate through a series of separate apps. The answer is Home. Home isn’t a phone or operating system, and it’s also more than just an app. Home is a completely new experience that lets you see the world through people, not apps. From the moment you wake up your phone you become immersed in cover feed. Cover feed replaces the lock screen and home screen. It’s a window into what’s happening with your friends – friends finishing a bike race, your family sharing a meal or an article about your favorite sports team. These are the beautiful, immersive experiences that you get through Home. You might have missed these updates before, but now they’re a central part of the Home experience. Since Home is both your lock screen and home screen, the content comes right to you. You can flip through to see more stories, and double tap to like what you see. Cover feed is for those in-between moments ­like waiting in line at the grocery store or between classes ­when you want to see what’s going on in your world. 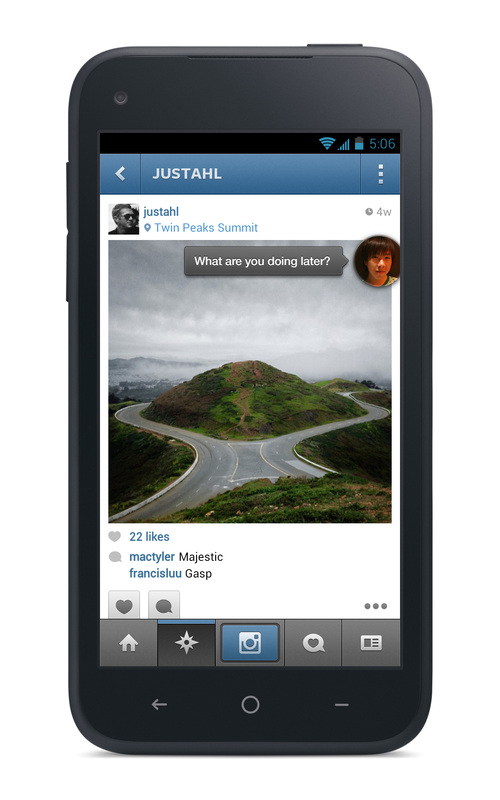 With chat heads you can keep chatting with friends even when you’re using other apps. When friends send you messages, a chat head appears with your friend’s face, so you see exactly who you’re chatting with. Messages reach you no matter what you’re doing – whether you’re checking email, browsing the web, or listening to music. You can move chat heads around and respond to messages. 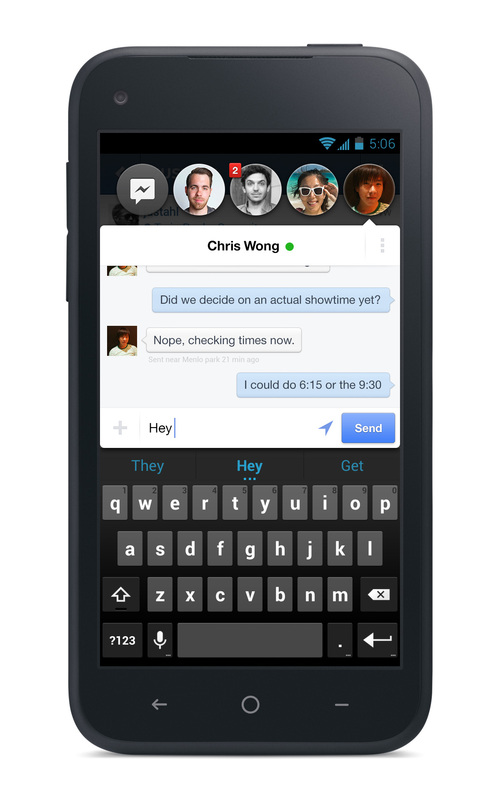 And since SMS is integrated into Facebook Messenger for Android, chat heads include Facebook messages as well as texts. Cover feed is great for seeing everything going on in the world. But when something happens that’s more important and directed at you, like a friend posting on your timeline, you’ll receive notifications with their profile pictures. To open notifications, just tap them. And if you don’t want to deal with them right now, you can just swipe to hide them and keep flipping through cover feed until you want them back. It’s as easy to get to your apps in Home as it is on any other phone. Swipe up to see your favorite apps in the launcher. There’s also a screen containing all of your apps, and you can drag your favorite apps to the launcher. 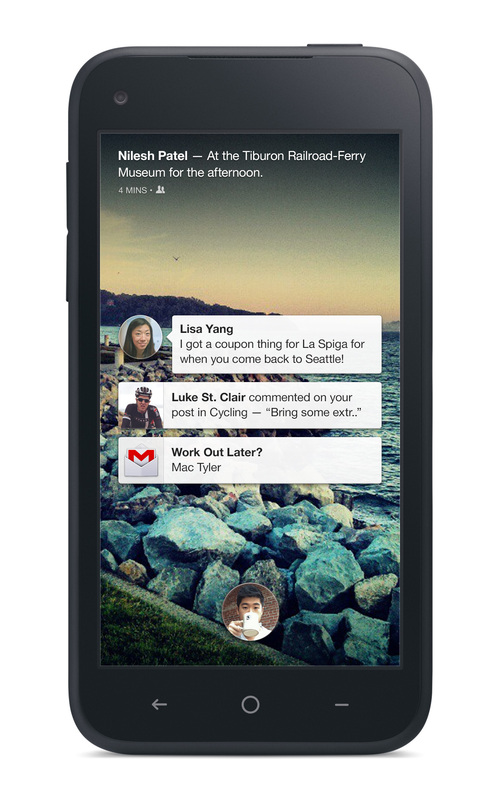 Facebook Home works on Android devices such as : the HTC One X, HTC One X+, Samsung GALAXY S III and Samsung GALAXY Note II. Home will also work on the HTC One and Samsung GALAXY S4, and on more devices in the coming months. Facebook Home will be available as a free download from the Google Play Store starting April 12 in the US. 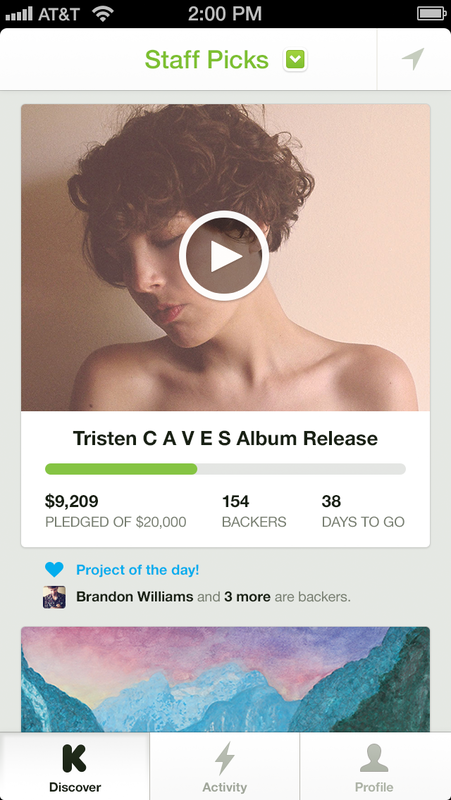 And will initially be available for download in other countries shortly after that. 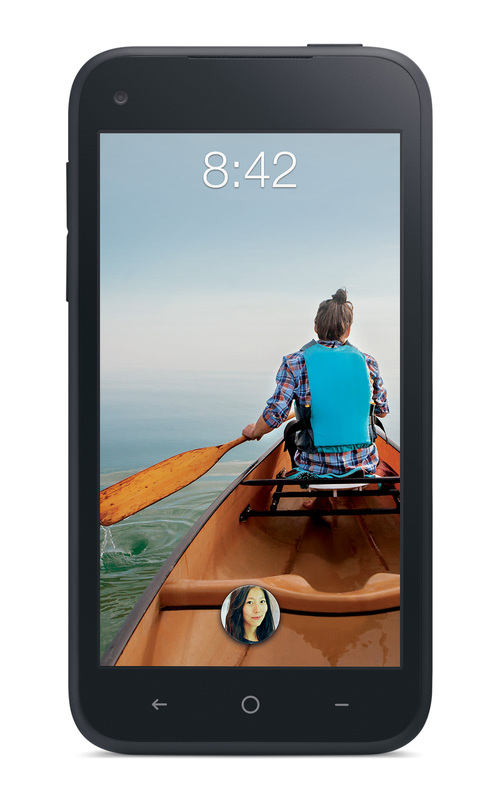 Home will also be available pre-installed on phones through the Facebook Home Program. HTC and AT&T are the first companies working together to deliver a phone with Home. It’s called the HTC First and it goes on sale April 12. You can download Home for free from the Play Store starting April 12, or purchase a phone with Home pre-installed. The first phone to come with Home is the HTC First, which goes on sale in the U.S. on April 12. 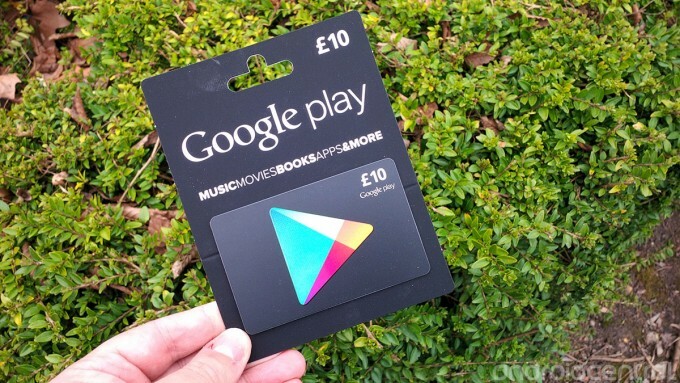 The Google Play Store could suffer a major facelift in the coming months. It is in any case what think the website Droid-Life by revealing screenshots of the next version of the Play Store, version 4.0. Here, no change name as was the case with Android Market, but large changes in the interface design. It wants to be more clear, enhancing the color code to classify applications. Full of small new touches to discover in the video made by Droid-Life. It could also host a new service from Google: Google Play News. This service could inaugurate a newspaper subscription on smartphones and tablets on the Android system. So, no need to go buy your newspaper from booth every morning. This new version of Play Store could be unveiled at Google I/O on May 15th. BlackBerry 10 at launch were 70 000 applications, Today BlackBerry announced that BB10 OS app catalog “BlackBerry World ” already offers more than 100,000 apps, it’s 30 000 new applications in 7 weeks! This is a good news for BlackBerry Z10 users and soon BlackBerry Q10, and it shows some enthusiasm for the new OS from the Canadian manufacturer. Admittedly, this is facilitated by compatibility with Android applications greatly facilitating the porting of them, but this is a good thing for BlackBerry as the ecosystem around a mobile OS is the sinews of war. BlackBerry is trying really hard to bring as many popular applications as possible to its platform. 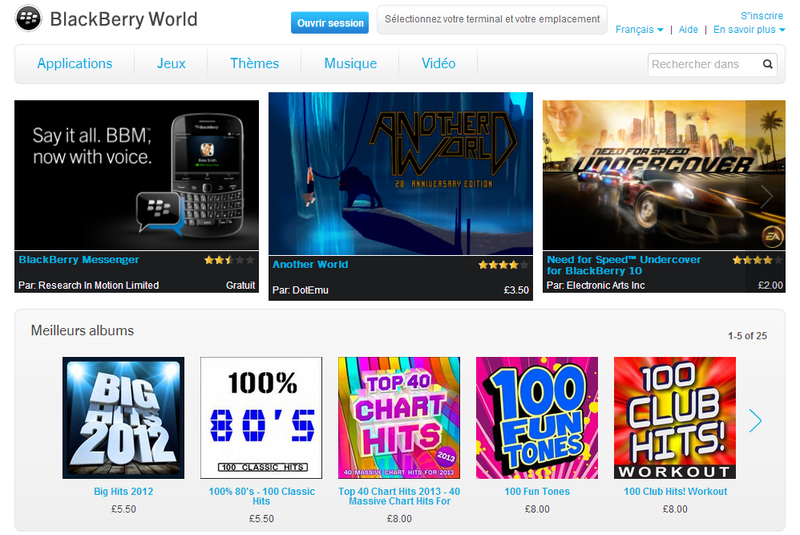 The BlackBerry World is already offering many of the apps and games that top the charts on Android and iOS including 8tracks, Angry Birds Star Wars, ATP World Tour Live, BBC Top Gear News, Bloomberg Anywhere, CBS Sports, Delta Air Lines, F1 2013 Timing App CP, Facebook, Foursquare, Jetpack Joyride, Keek, LinkedIn, Navita Translator, Need for Speed, NHL GameCenter, N.O.V.A. 3, The New York Times, PressReader, Slacker, Songza, Twitter, UFC, USA TODAY, Waze, WhatsApp, and Zara. BlackBerry also promises Amazon Kindle, OpenTable and The Wall Street Journal to hit the app store today, while CNN, The Daily Show Headlines, eBay, eMusic, Maxim, MLB at Bat, MTV News, Pageonce, PGA, Rdio, Skype, Soundhound and Viber are going to launch very soon. 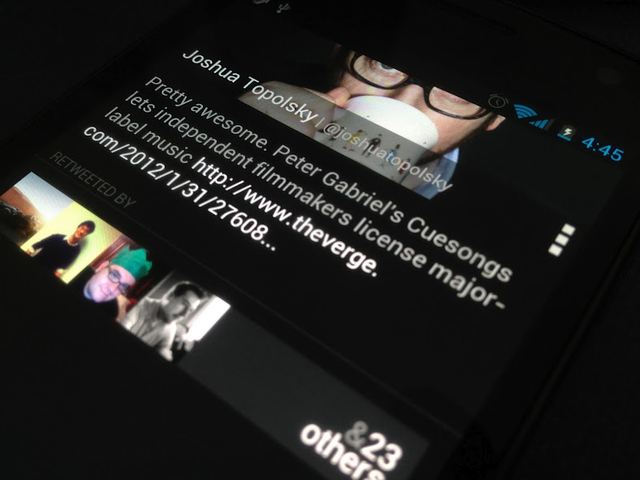 Carbon, the long-awaited third-party Twitter app for Android, but it’s finally here. After being teased for almost a year, App developer Dots & Lines has been working on getting Carbon out for a while now; it originally estimated that the app would be out for Android as a free download last July, but that didn’t happen, but now have finally released the Twitter client on the Play Store. The company was held back last year when it discovered that it couldn’t submit Carbon as a paid app to Google Play from the United Arab Emirates, but it’s still taken much longer than expected to release after the original delay. After being teased for almost a year, the developers of Carbon have finally released the Twitter client on the Play Store. The app was shown off on Twitter last year and then an early alpha was released for a few users. After that the app was delayed indefinitely because the developers could not release it as a paid app on Play Store as it wasn’t supported in their region. After that it was announced that the app would be released as a free app but even that got postponed indefinitely. So now, several months after all that happened and people almost forgot about the app, the developers released it on the Play Store. It’s free, just as they promised, and does not contain any kind of advertisements or revenue model within the app. You can download Carbon for Twitter, by clicking on the link below.